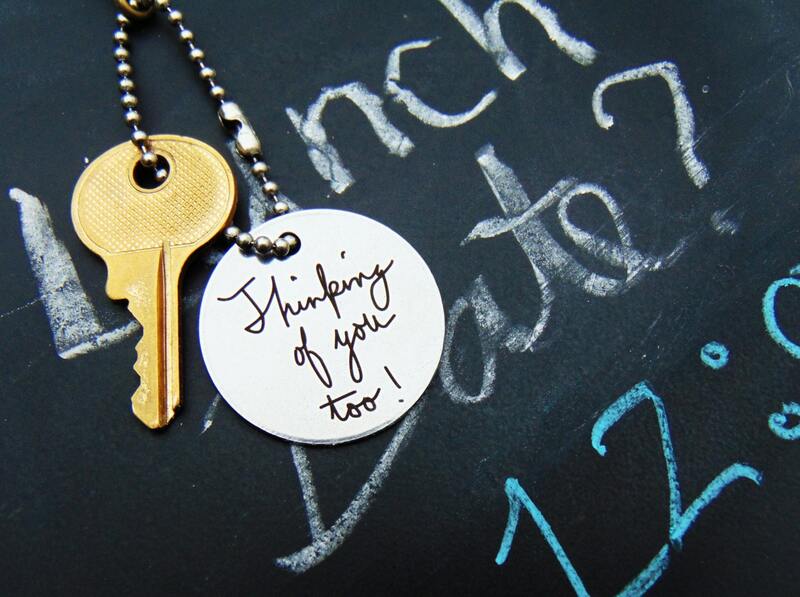 Key Chains add charm to everyday life and are easy to customize for each individual. They make the perfect gift for the "hard to buy for". Keep those who you love dearly, close by each and everyday. 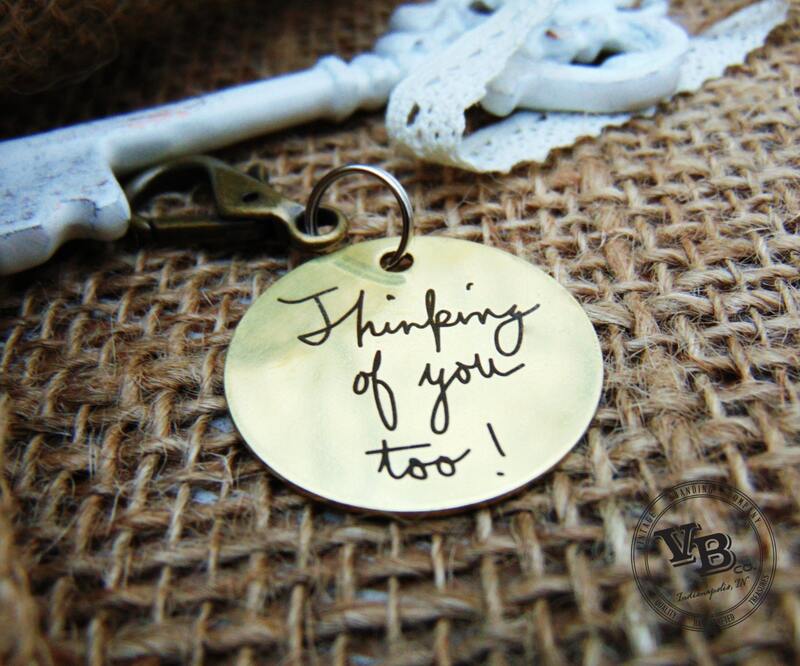 This vintage style piece offers the ability to use a loved one's handwritten message copied from an old letter or card. 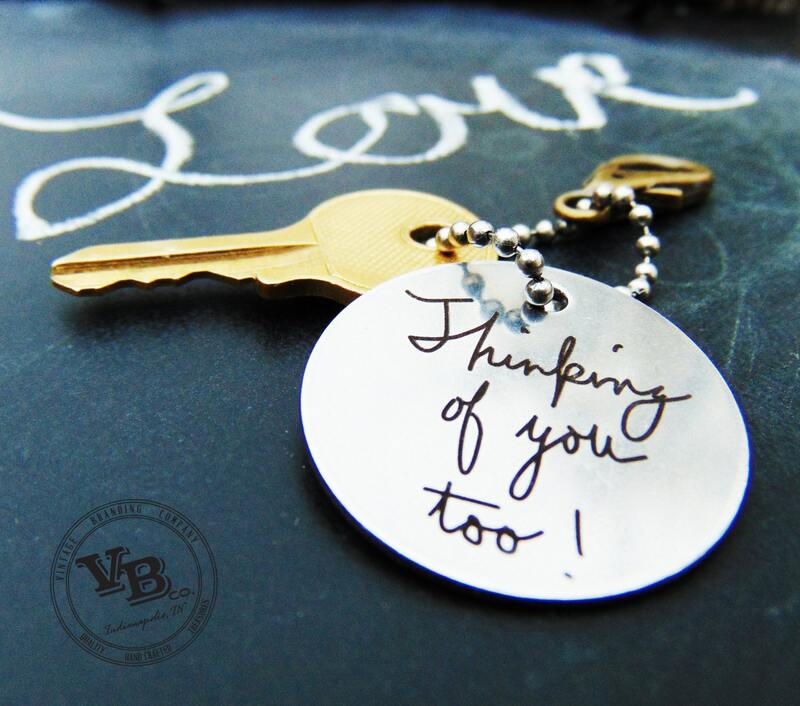 An exact replica of one's handwriting laser engraved upon your choice of stainless steel, or brass is sure to stand the test of time and is pleasing to the eye. Proofs available upon request. Go one step further with an engraving of your choice on the back side as well. Initials, dates, signatures, etc... Up to 3 lines of text, up to 35 characters on each side of pendant. Included with each keychain set is your choice of key ring, stainless steel ball chain, or black steel coated ball chain. Please include in your "Notes to Seller" what your accessory preference is. If not relayed, default is a key ring. Cannot say enough about this shop. They sent me a message within 15 mins of ordering. Shipping was extremely quick, I ordered on Friday and it arrived on Monday, amazing!! The personalization looks great! Will be ordering from again! I have purchased two keychains with my grandparents’ handwriting on them for gifts and they have turned it beautifully! I would HIGHLY recommend this shop.